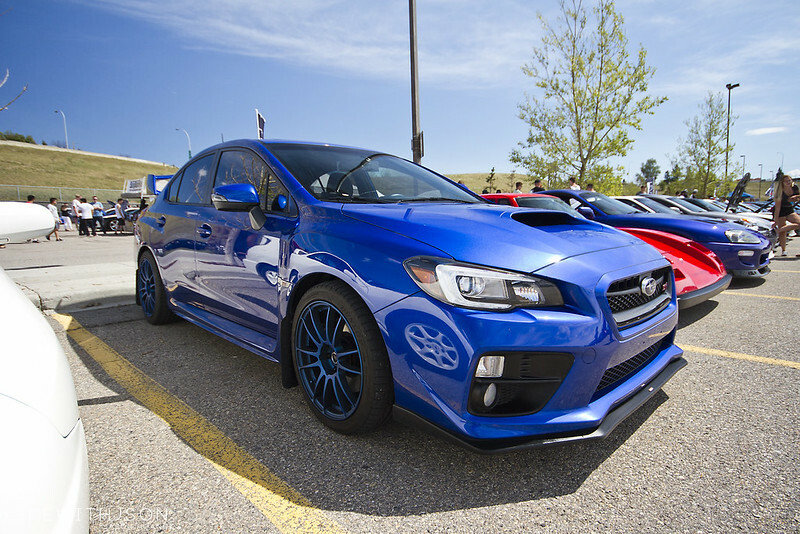 Jason Divina’s new STI on velvet blue Gram Lights. Pretty cool to see the Consulier GTP in person. 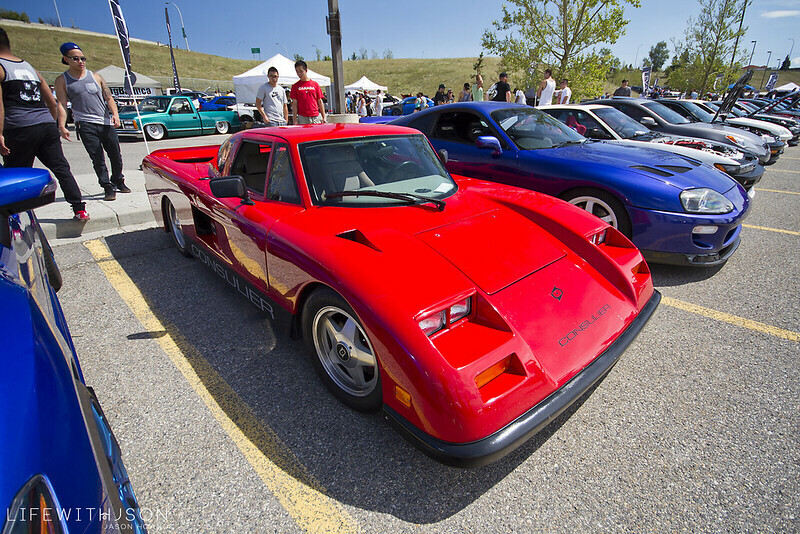 I had seen it in a few pics in some other event coverage… I believe there were only 100 of these cars that were made so it’s cool that one resides locally. Don’t know much more than that, but it’s definitely different. RHD Supra on TE37’s. Could use a slightly more aggressive fitment for a Supra, but I liked the colour. This was an extremely clean S13 on Work VSKF’s. Probably one of my favourite that unfortunately noted that it did not want to be judged. Kelvin’s K20 swapped Acura 1.6EL fitted with a Voltex wing out back. It’s different for sure, but it looks real good in person. Noel’s 1JZ-swapped S14 on Work VS-KF’s wrapped in black. I saw a lot of progress on Noel’s car over instagram and it’s turned out to be pretty awesome. One more shot down low to show the fitment. 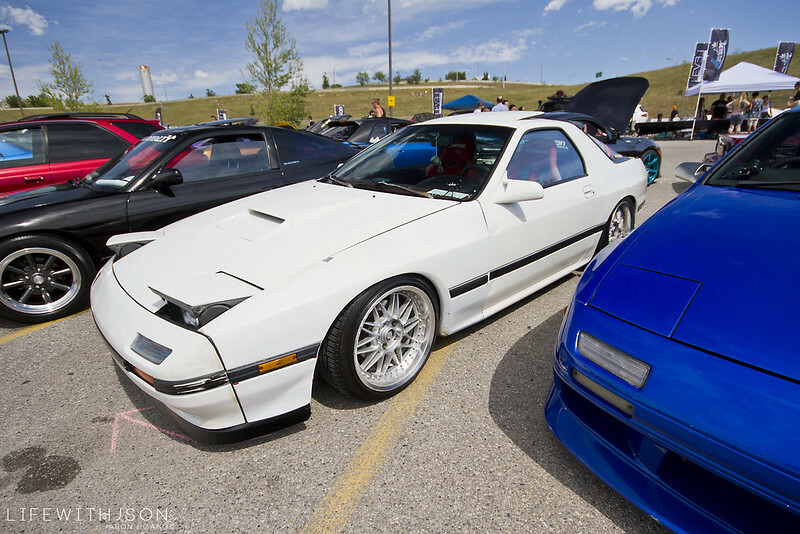 Michael Boulanger’s absolutely stunning RX7. Repainted, a lot of the fabrication was done by himself and peep the Car Shop Glow lights too. 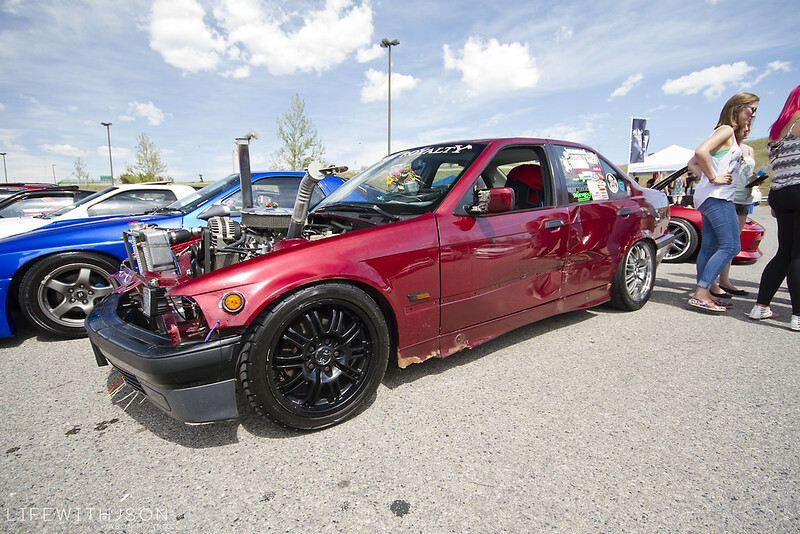 Tim’s K20 Swapped and supercharged EG hatch. It’s now on Volk CE28’s rather than the Spoon SW388’s when I shot it a while ago. I personally enjoy this look a lot more. Errol’s RSX – one of the newest additions since we got back from BC was a Spoon CF diffuser that you can just barely see in the pic. 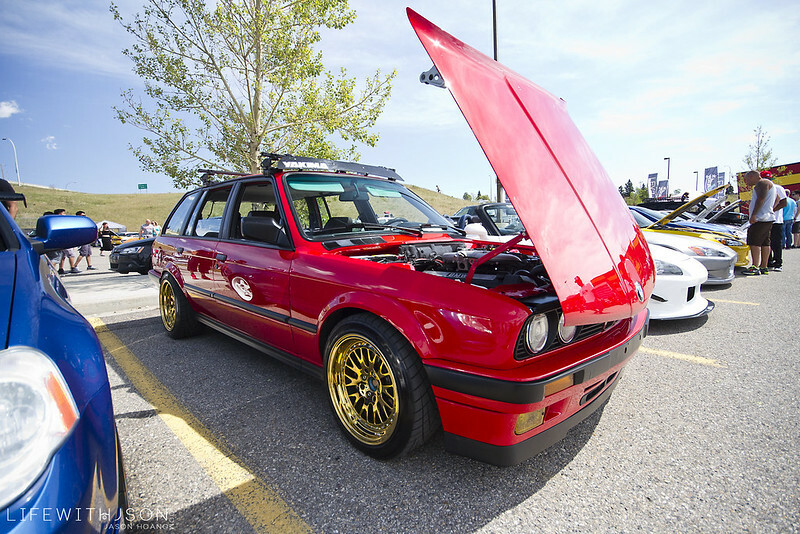 E30 wagon… Apparently everything on this was changed out to new OEM stuff. It is absolutely mint. 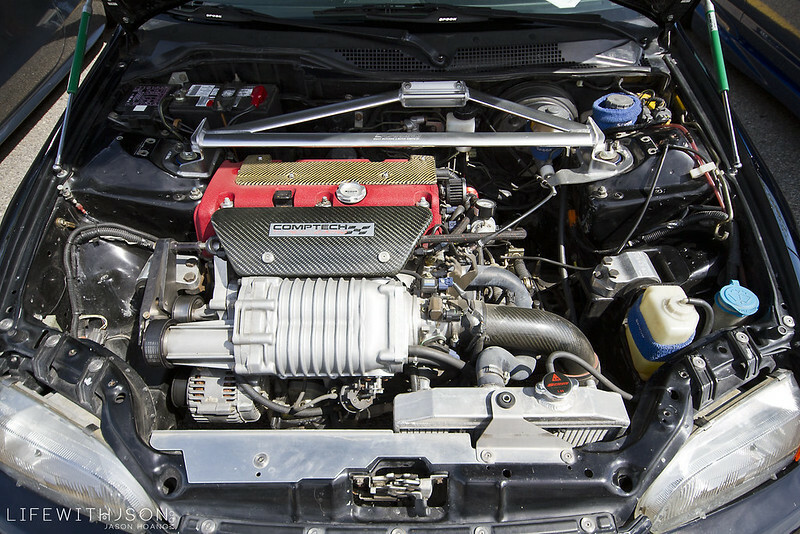 Nice CF Mugen intake in the bay. Alex also decided to just go ahead and bring out almost half of his fleet of cars out while he was at it. Here’s his TL-S DD on bronze ZE40’s. Looks amazing. And finally, his pride and joy (maybe sometimes headache – depending on when you talk to him) his Integra. 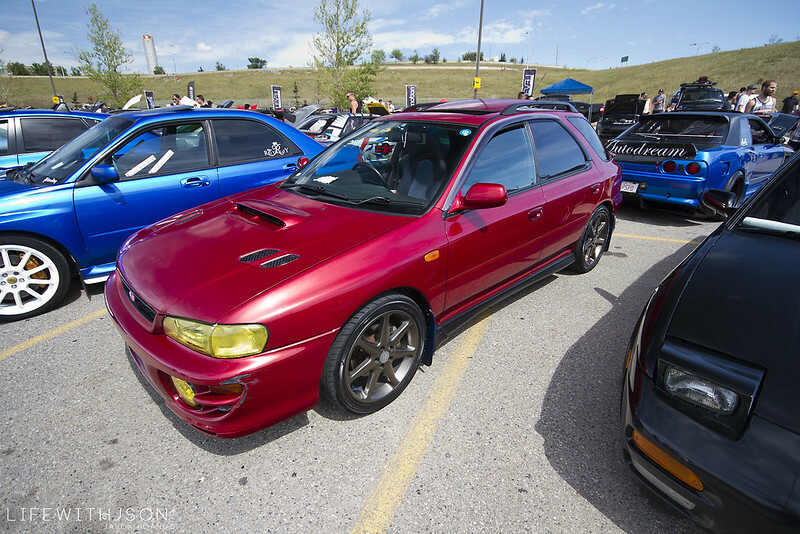 Brad’s supercharged K20 EM1. He’s been a stranger lately but it was good to see this out for a bit of sun. 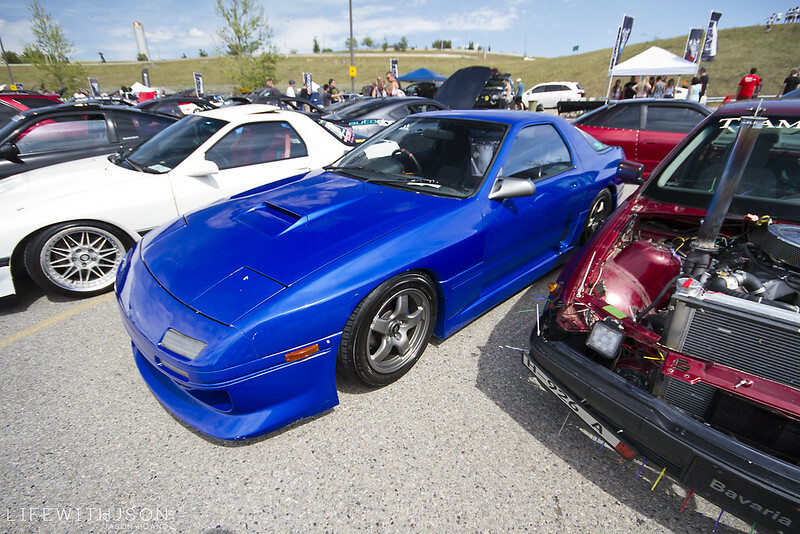 Isaac’s LS swapped RX7 joined in too for Balance Auto Garage. 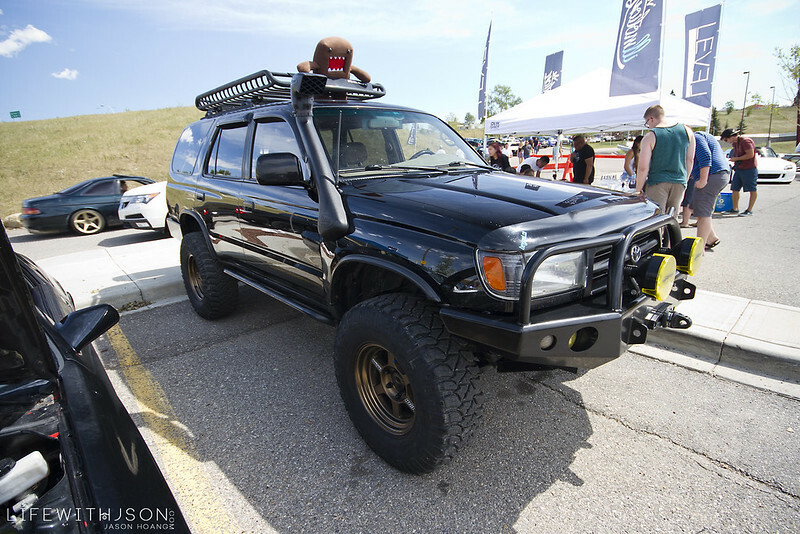 Wasn’t quite sure what was going with this… Zipties, dents, a whole lotta things – admittedly, I remember feeling heatstroke by this point LOL. Team RX7 for Team Royalty. Again, the clean STI Hatch on Meister S1 3P’s that was in attendance at HIN. Not normally a fan of wraps because it’s difficult to get done right but I did like the colour of this. I think this would be a winning combo with some aggressive aero. 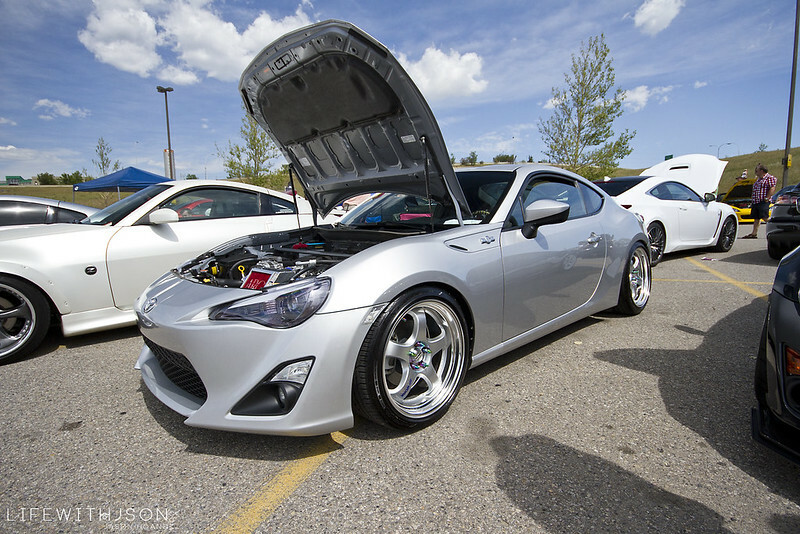 Clean boosted FRS from Team Royalty. I remember seeing this 350Z in Edmonton for the season opener and the GT wing caught my eye. Every time… It’s my weakness. Cy’s Chaser is a car that I truly enjoy looking at. It’s simple, and pulls off the sport VIP theme very well. 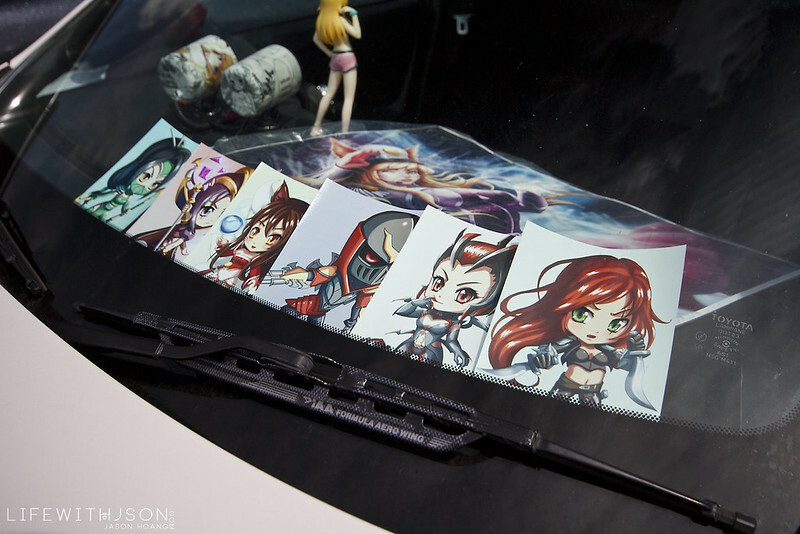 It’s got a bit of a Japanese influence as well with anime paraphernalia in and around the car. The cream colour is perfect. 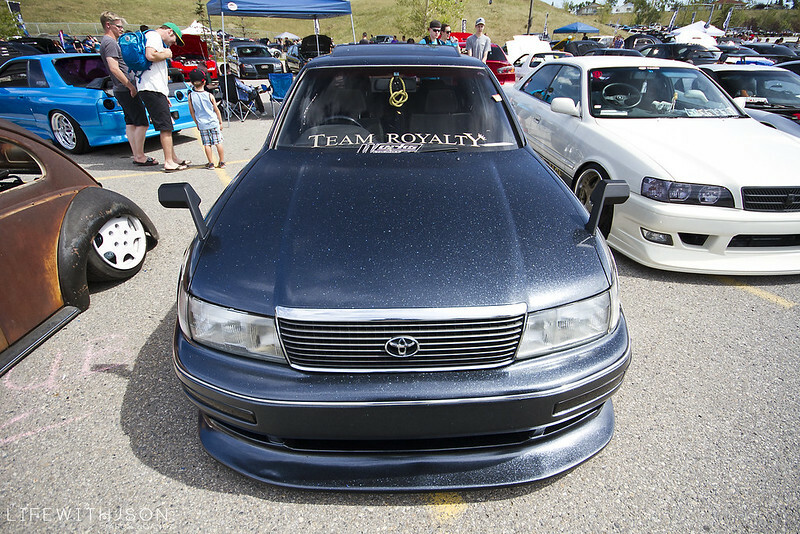 I’ll say it – this Celsior from Team Royalty was hands down my personal favourite. I just love the look and the overall execution. A bit of the VIP styling in me still lives on and big bodies have a soft sport in my heart. 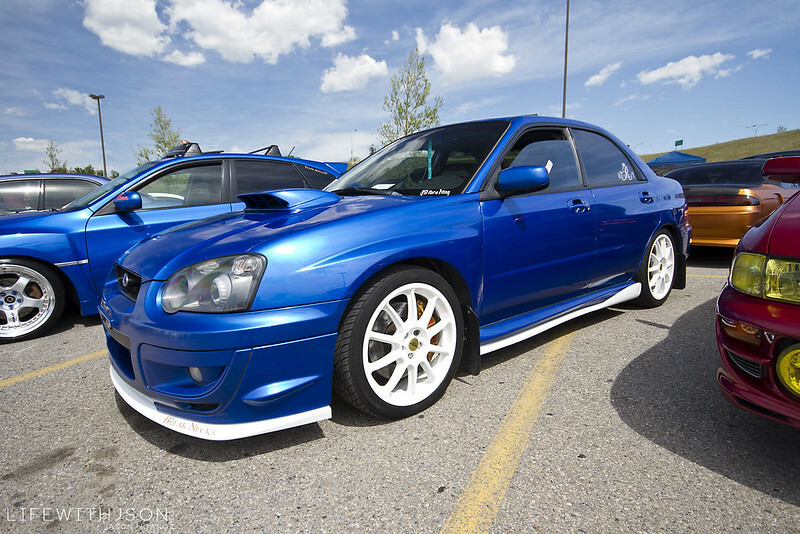 The fitment, the colour, and the bodywork was wicked. One more of it from the front cause I love it. Well done, sir. Now I gotta go and edit more and find time to put them up! Nice coverage Jason! Could you shoot me some photos you took of my car?